Standing Order Subscriptions: We are very pleased to announce our standing order subscription service which provides a very easy way to complete your New Zealand or Ross Dependency collection. You pick the issue to start with, how often you'd like to be invoiced and a budget for each order and we will create regular invoices which you can adjust before finalising. There are a number of options that you can tailor to match your collection and we are always happy to adjust these criteria to better suit your needs. Standing orders can be easily temporarily or permanently suspended with an email to us if something unexpected crops up. Standing order items are also discounted by 10% over the individual item price. To set one up - simply fill out the form here. 2017 Health Issue: On the 27th of July 2017, New Zealand Post announced that due to the falling number of health stamps sold it was no longer financially viable to administer the Health stamp issues. New Zealand Health stamps were first issued in 1929 and have been issued each year since then without fail (even during the 1930s Great Depression and the Second World War) and it is very sad to think that 2016 was the last Health Stamp issue. Did you know that these stamps were issued to commemorate the Royal visit to New Zealand? Large remaining stocks of the 1½d Sovereigns stamp from 1940 were surcharged 10d to cover the rate for the newly introduced airgraph service. 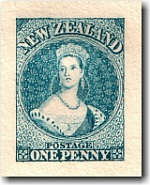 StampsNZ are full time philatelic dealers specialising in stamps, miniature sheets, booklets, first day covers and varieties from New Zealand and Ross Dependency. We provide a personal and professional service and welcome any enquiries relating to New Zealand stamps.